From Sarcococca ruscifolia, the mixed crystal of sarcorucinine A and A1 were ob-tained, but was very difficulty in separating. The structure of sarcorucinine A was determined by X-ray analysis for the mixed crystal. Compounds 3 and 4 were isolated from the reduction of mixed crystal with LiAlH4, and their structures were elucidated on the basis of the interpre-tation of MS, IR, 1H, and 13C NMR spectra. Thus, the structrue of sarcorucinine A, could be deduced as A'△^16 3a-dimethylamino-20α-methylmethylamido-pregnene (2), and was further comfired by FAB-MS / MS spectra. The structure of the sarcorucinine B was deduced by us-ing the same spectroscopic analysis. The present paper deals with the application of FAB-MS / MS technique in structural elucidation of sarcorucinine A, A　and structural elucidation of sarcorucinine B. In order to make use of a harmful weeds, Eupatorium adenophorum Spreng., its odorous constituents were studied. Its aroma quality and possible application were evaluated. 45 compounds were identified qualitatively and quantitatively in the essential oil by GC / MS, the main compounds were p-cymene and bornyl acetate. The results shown that the weed is a kind of valuable raw perfumery material. The application of the weed to the perfume Industry will result in economic profits but also control the spread of the harmful weed. Abstract From the seeds of Trewia nudiflora L. native of Xishuanghanna, two new maytansinoid compounds, with trewiasine, treflorine, trenudine as well as caffeine were iso-lated. On the basis of spectral evidence, the structures of the new compounds have been eluci-dated as 10-epitrenudine and 4', 5'-diacetyl trenudine. The latter has been evidenced as an artifact. Abstract Picea brachytyla var. complanata and Abies georgei are main dominant of subalpine dark coniferous forest in Zhongdian. The light saturation point of both species are lower, but the adaptive ranges of P. brachytyla var. complanata for light intensity is higher than that of A. georgei, and the photosynthetic rate of the former (3.74 CO2mgg-1 DWh-1) is higher than that of the latter (3.24 CO2mgg-1 DWh-1) too. The types of diurnal changes in photosynthetic rates of two species at an altitude of 3300 metres above sea level all show double peaks curves, and their seasonal changes in photosynthetic rates exhabit the forms of single peak. The rates of photosynthesis of both species in the cutting blank decrease obviously as compared with that of under the canopy and fall range of photosynthtic rates of A. georgei is higher. From summer harvested roots of 2-4 years old plants of Pokeweed, two antifungal proteins named PAFP-R1 and PAFP-R2 were isolated by using a procedure including extrac-tion with saline solution, purification with ion exchange chromatography on CM-sephadex, gel filtration on sephadex G50 and chromatography on hydroxyapatite. Both proteins at 0.1 mg/ml inhibited obviously the growth of Trichoderma viride mycelia on a PGA medium plates, but even at 1 mg / ml did not inhibit the multiplication of bacteria E. cola and B. subtilis. They are both a single polypeptide with Mr of 13 kD and 15 kD respectively, with a pi of about 5.8 and with Ala as the N-terminus. 5 species of Chinese Dendranthema were cytotaxonomically studied in this work. Some of the karyotypes of these species are reported for the first time. The results are shown as follows: D. indicum 2n = 2x = 18 = 16m+2st, 2n = 4x = 36 = 28m+6sm+2st; D. lavandulifolium 2n=2x=18=14m+4sm, 2n = 4x = 36 = 28m+6sm+2st; D. lavandulifolium var. seticuspe 2n= 2x = 18 = 12m+6sm; D. chanetii 2n = 4x = 36 = 20m+14sm+2st, 2n = 6x = 54 = 38m+ 14sm+2st; D. potentilloides 2n=2x= 18= 14m+2sm+2st; D. vestitum 2n=6x=54=38m+16sm. From these results, it may be seen distinctively that all these species have a common basic chromosome number x = 9, but some of them varied at tetraploid and haxaploid level. Com-paring the morphology of chromosomes of different polyploides, it is suggested that most of them are allopolyploid. Based on a synthetical study of these reults and external morphology as well as geographic distribution characters, the authors deduced that polyploidy is an univer-sal feature of the genus Dendranthema, and which play an important role in evolution of wild species of Dendranthema. This paper deals with cytological study of seven populations in Paeonia delavayi var. lutea, which were collected from central to northwestern Yunnan. The chromosome num-ber in seven populations is 2n=10, and their karyotype asymmetries belong to is 2A type. Among populations, the second pair and the third pair of chromosomes are relatively stable, but there are some variations in the first pair and the fourth pair of chromosomes. There is structural heterozygosity in fourth pair of chromosomes. Both of relative length and arm ratio of homochromosome show structural heterozygositys. There may be a kind of correspondence between the sctructural heterozygosity of homochromosomes arid morphological difference. Among populations, the number and position of satellites have diffence, so do the number and position of the secondary constrictions. A var.multiflorum differt radici tuberosae intus albae,ramulo quadrato longitudinaliter anguloso ad angulos dense minute papillatis,folio juvenili subtus et supra secus nervos purpureorubo,nervis lateralibus supra impressibus,flori major 3-3.5 mm diam.,tepalis 5,3 exterioribus extus late alatis,alis apice emarginatis. Abstract Mt. Yunjushan is located at the northeast end of the Jiulingshan Mts. in north Jiangxi province, which has an ancient geological history. Since the Mesozoic period, it has kept in conditions of relative stablization and advantageous physiography. Its flora didn^t suf-fered danger by the glacier during the Quaternary. This paper studies on the origin and evolution of the flora in geological period. Based on statistics and analysis of families, genera and species in the present flora and comparison of re-lated regions, the flora features can be summarized as follows: 1) Mt. Yunjushan flora has the nature of the tropical consanguinity and the temperate de-rivation. The studies show that the tropical families are dominanting and the temperte species have the highest percentage (45.32). The flora may be origined chiefly from an ancient tropi-cal type during the Mesozoic and the Tertiary in ancient lands of S. China. Secondly, it may be derived from local elements and penetrated from N. temperate elements during the Quaternary. 2) The floristic origin is ancient, the flora is very rich in ancient and relic plants as well as in monotypic and oligotypic primitive types. 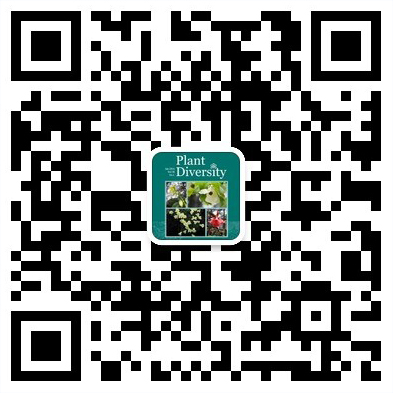 This paper discusses the taxonomic relationship and the hierarchy between the Chinese Sphaerophysa DC. and its allied genera from the world; recognizes the Chinese species as a member of Sphaerophysa DC. not Swainsona Salisb. It is used to the Chinese works from 1950's to present. The Dai nationality of Xishuangbanna uses "binomial nomenclature" to plants.Their concept of "genus" contains "Life from" and "economic form" while the names of "spe-cies" are described on the basis of specific properties, characteristics, uses, origins and habitats of plants etc. , which has a higher practical value. Moreover, the research establishes a system of Dai's plant taxonomy according to their traditional concept and nomenclature of plants. Affinis F.demissae Yi, sed turionibus omnino glabris,vaginis culmorum dorso glabris,marginibus haud ciliatis，ligulis altioribus,0.5-0.7 mm altis,laminis usque ad 5cm longis et 3.5 mm latis，rectis vel patulis paulum reflexis； vaginis foliorum usque ad 4cm longis，ligulis usque ad 1mm altis，laminarum nervillis transversis in rectangula consociatis facile differt. Species nova proxima P.mishmensi Reichb. f.,sed floribus expansis sepalo intermedio elliptico,labelli lobo medio fere obcordato apice bifido, operculo antherae late ovoideo distincta. Radices numerosae fasciculatae,fusiformes carnosae incrassatae;rhizoma nullum Caulis 1(-2),pallido-pubescents laxe foliatus,basi nec gracilescens. Folia basalia saepe caduca,reliquiis vaginarum fibrillosis obsita petioli foliorum culinorum vaginati,racemiterminales,floribus caeruleis,stigmate 6-papillato.Capsula clindrica,sub maturitate saepe tortilis. 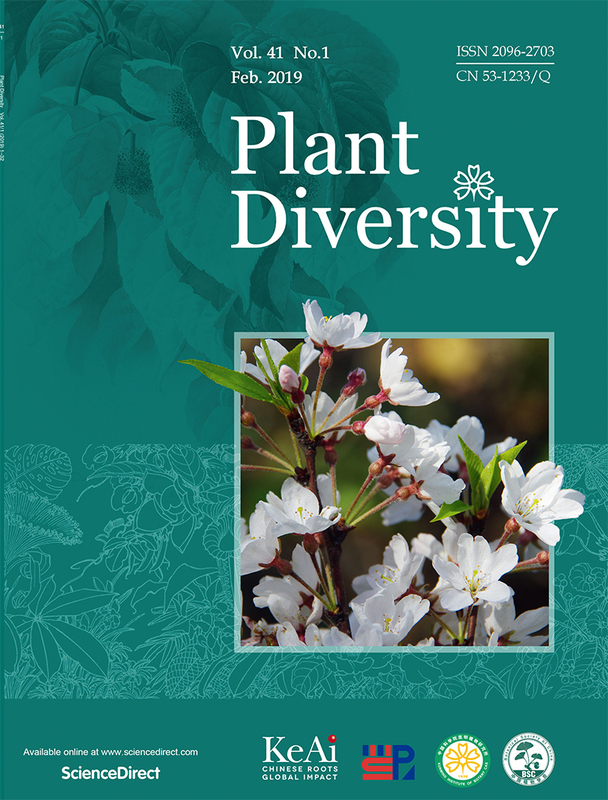 36 species of Chinese Stellaria were studied, among which 1 section, 1 series, 12 spe-cies, 4 varieties and 1 forma that once validly published were the first time reduced to syno-nyms (both e typo and e descr.) to various species separately mentioned with 1 generic transfer. Various incorrect determination was discussed together with the discusstions on characters se-lected, evolution assumed and distribution recorded.